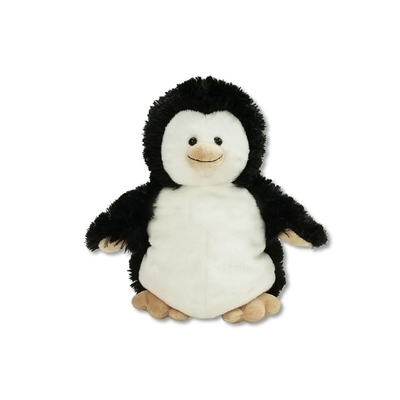 Our Sleepytime Penguin (6008P) is created from the softest black and cream fur. Sleepytime Penguin can be used as a puppet and it has embroidered features making them perfect for small children. Sleepytime Penguin measures 13″ tall. Our Sleepytime Penguins’ warm-up feature promotes relaxation and provides natural relief from aches, pains, stress, headaches, tummy aches and ear aches. Gentle warmth helps settle children at bedtime so they can achieve a good nights sleep.